The WD Ae hard drive delivers cost-effective, high capacity disk layer storage for cold data archive systems. 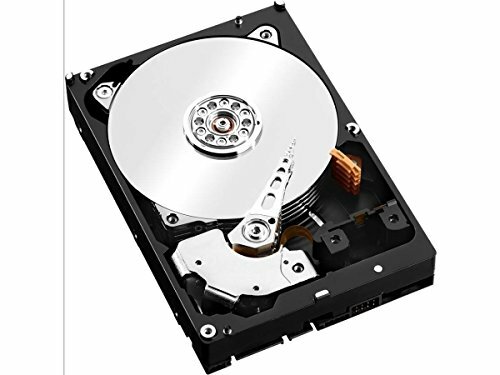 These drives are built with features that address the unique requirements of cold data archiving, including WD's innovative Progressive Capacity, an energy-efficient design, long life cycle TCO and competitive dollars per gigabyte. Energy efficient - Reduced media spin lowers power consumption and optimizes the drive's read/write ratio for the rigid requirements of cold storage systems. With 700PB's of cold storage deployed in datacenters already, WD's 4th generation WD Ae drive utilizes innovative technology to reduce power consumption and lower operating temperature, which results in a more reliable solution for data archives. Cost-effective capacity storage - Moving cold data to value-optimized archive media delivers significant TCO savings by freeing up expensive performance-critical storage system capacity. As technology and manufacturing processes mature, incremental capacity increases are realized. WD's innovative Progressive Capacity model allows distribution of these incrementally higher capacity models, taking advantage of their full capacity. Cold data power management - Competitive power management, reduced heat output, and next generation technologies such as Intelli Seek combine to deliver a balance of performance and power perfect for cold data archive storage architectures. The spin-down capability of the WD Ae drive provides much faster access times than conventional archive tape with data access times of less than 20 seconds for on-demand data requests. A head-positioning system with two actuators improves positional accuracy over the data track(s). The primary actuator provides coarse displacement, the secondary actuator fine tunes the head positioning to a higher degree of accuracy. 24x7 dedicated customer support - Every WD Ae hard drive comes with our world-class professional support services including a dedicated 24x7 support line (available in English, other regional support hours vary) and a 3-year limited warranty.